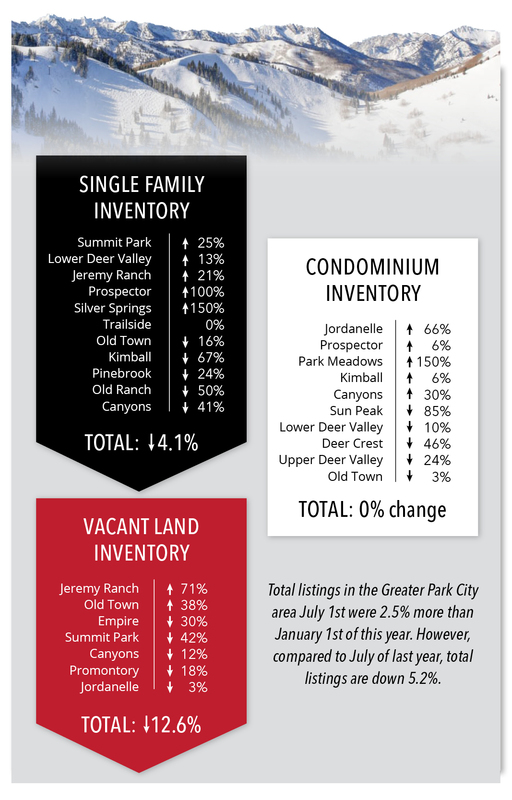 The Park City area market continues to be steady overall, with a slight dip in condominium sales. The dip in condominiums could be because it's been challenging to find condominiums that are priced correctly and updated. Second Quarter 2018 stats revealed continued demand and an increase in median sales price. 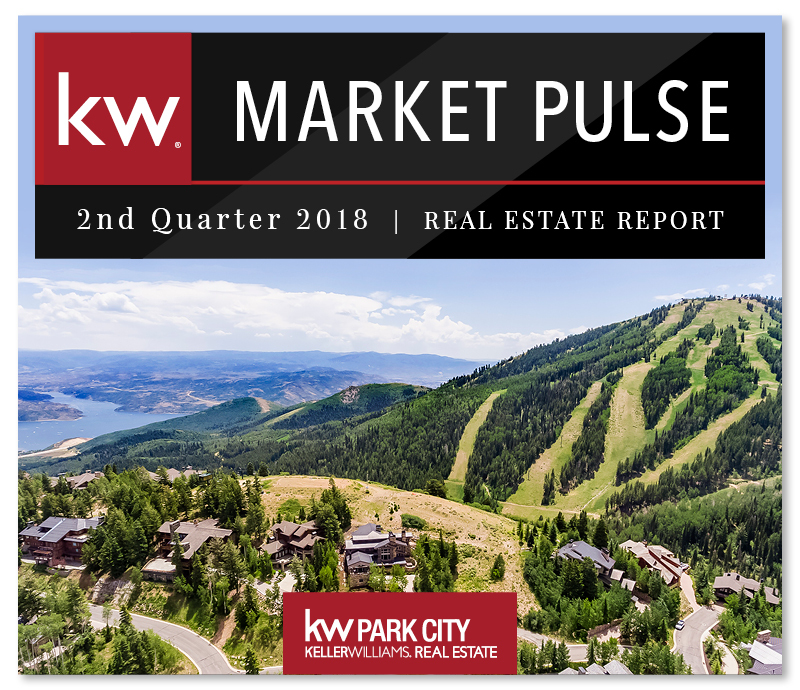 At the close of the second quarter, the number of single-family home sales in the Greater Park City Area increased by 6%, vacant land by 5%, while the condominium sector was slightly down compared to last year’s sales. Demand continued to rise on a gradual level, with single-family homes accounting for 49% of the total dollar volume, condominium sales for 40%, and vacant land comprising 11% of the market share. When bringing your property to the market, it is important to balance your pricing and timeline objectives. The charts below analyze the time on the market against the median price within category type and clearly demonstrate that those properties priced at or below the median are absorbed at a significantly higher pace. 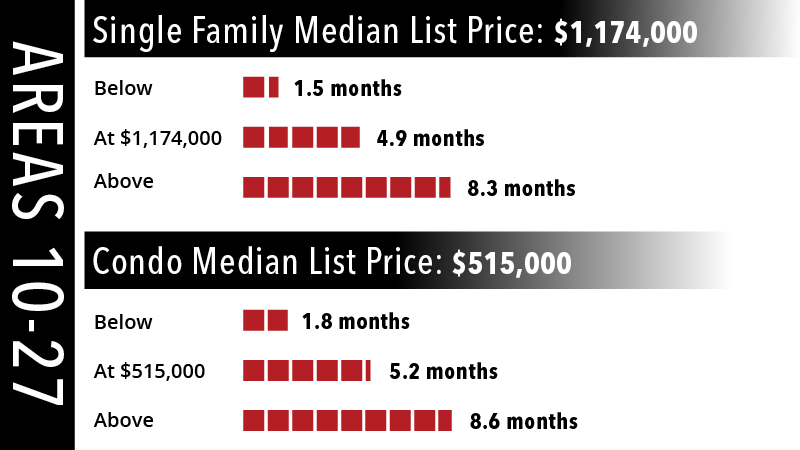 This chart does not mean that if you have a $1,500,000 home in Park City and price it at $1,900,000 that the home will sell. Areas 1-9 Include Old Town, Thaynes Canyon, Lower Deer Valley Resort, Deer Crest, Upper Deer Valley Resort, Empire Pass, Aerie, Prospector, and Park Meadows. Areas 10-27 Include The Canyons, Sun Peak/Bear Hollow, Silver Springs, Old Ranch Road, Kimball, Pinebrook, Summit Park, Jeremy Ranch, Glenwild, Silver Creek, Trailside Park, Promontory, Quinn's Junction, Deer Mountain, Tuhaye/Hideout, Jordanelle and South Jordanelle. Year-over-year, the number of single-family home sales within the City Limits was up 9%, while the median price of $1.93 M remained flat to last year. By neighborhood, Old Townhad the highest number of sales – up 36%, while there were 20% fewer sales in Park Meadows. Snyderville Basin reported more than twice the number of home sales as the City Limits – a 4% increase over last year – with the median price climbing to $1.13 M – up 17%. In Silver Creek sales were up 40% while the median sales price reaching increased 37%, reaching $1.16 M. By neighborhood, Promontory had the highest number of sales in the Basin, with 77 sold homes in the last 12 months. 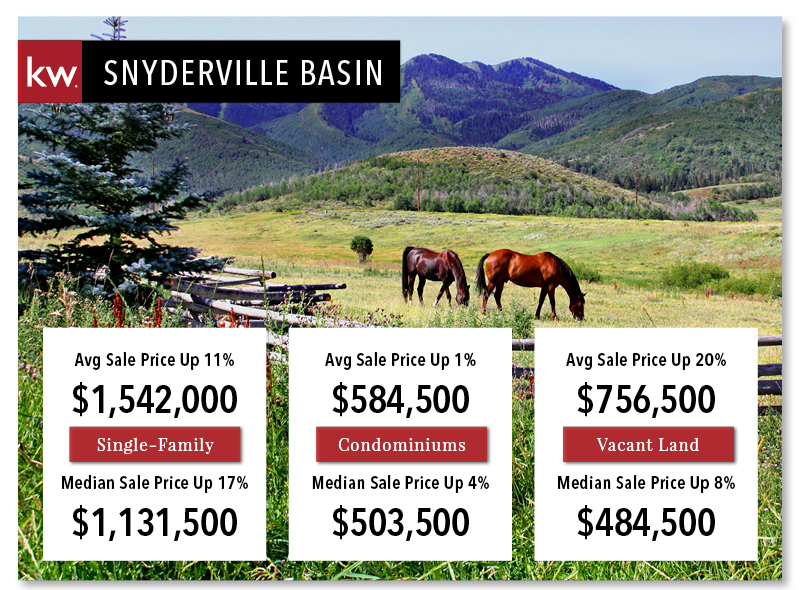 Activity in the Jordanelle area had a sizable increase in transactions with a 14% median price increase reaching $1.73 M.
Sales in the Heber Valley continued at a strong pace, with nearly one sale a day, and a 28% median price increase to $506,000. 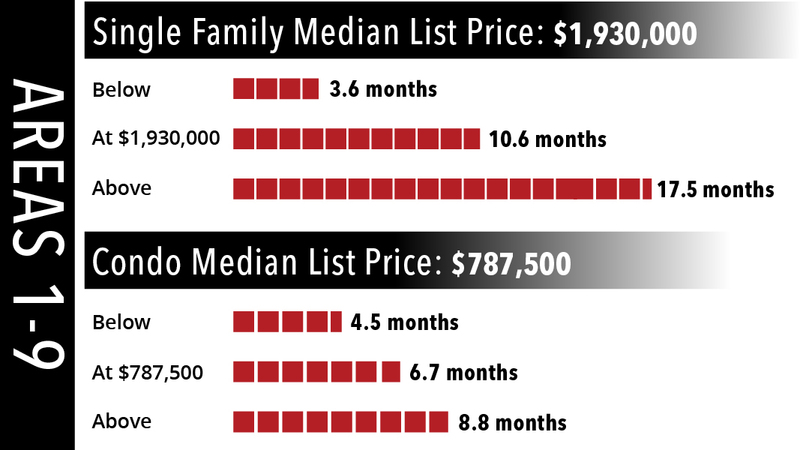 There were 20 more homes sold in Red Ledges compared to last year, with a median sales price of $1.16 M – up 8%. Midway continued to thrive with 96 closed sales and 17% median price increase reaching $544,000. 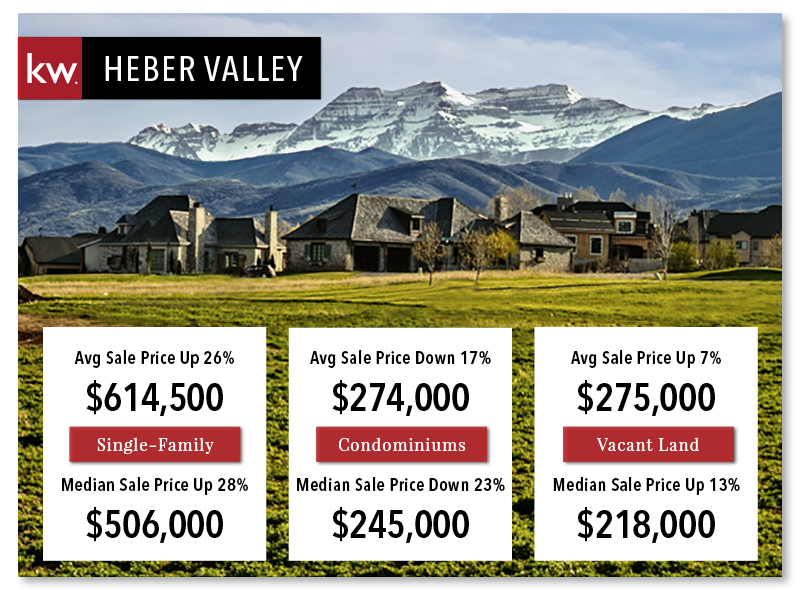 There are many factors contributing to the numbers we are seeing in the Heber Valley. Despite the sharp increase in construction costs, single-family homes are still well below Park City prices. With new amenities in the Heber Valley and excellent schools, buyers are weighing their options. In the Kamas Valley, the number of sales decreased 15%, though the median price climbed 10% to $412,000. Sales numbers in the Wanship, Hoytsville, Coalville, Echo, & Heneferareas remained the same with a median price of $359,000. Year over year, the number of condominium sales within the City Limits was up 8% and up 15% in median price to $787,000. The Snyderville Basin reported essentially the same number of sales as last year with 308 units and the median price of $503,000. The Kimball Junction area saw flat sales but a 15% median price increase to $385,500. The difference between these two areas may be attributed to the completion of developments in Empire Pass versus the reserved or pending status of a to-be-built product in Canyons Resort Village. The number of closed sales dropped 20% in the Jordanelle area, likely due to lack of inventory as new construction inventory has been absorbed, but there was a 12% increase in median price reaching $528,000. 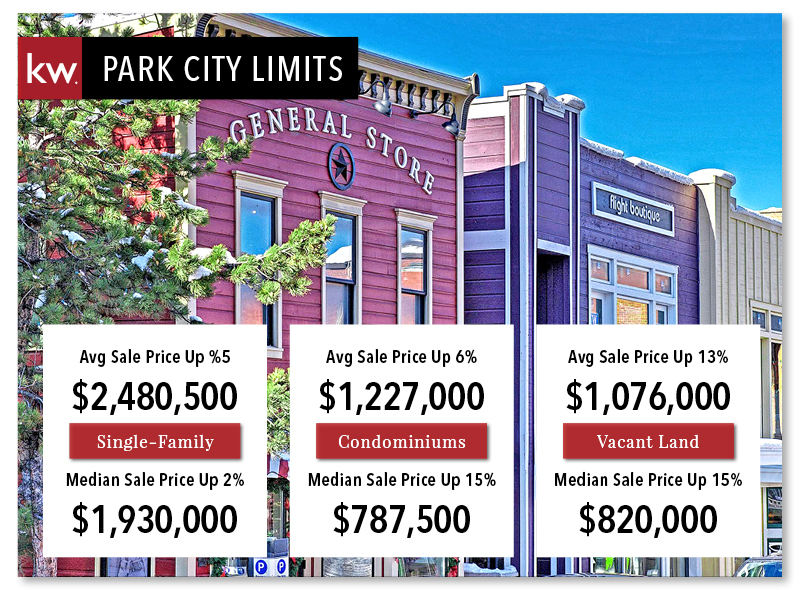 Park City Limits saw 14 more lot sales than last year and a 15% median price increase reaching $820,000. By neighborhood, Promontory had the highest number of land sales in the Basin with 72 transactions and the median price continued its upward tick reaching $405,000. 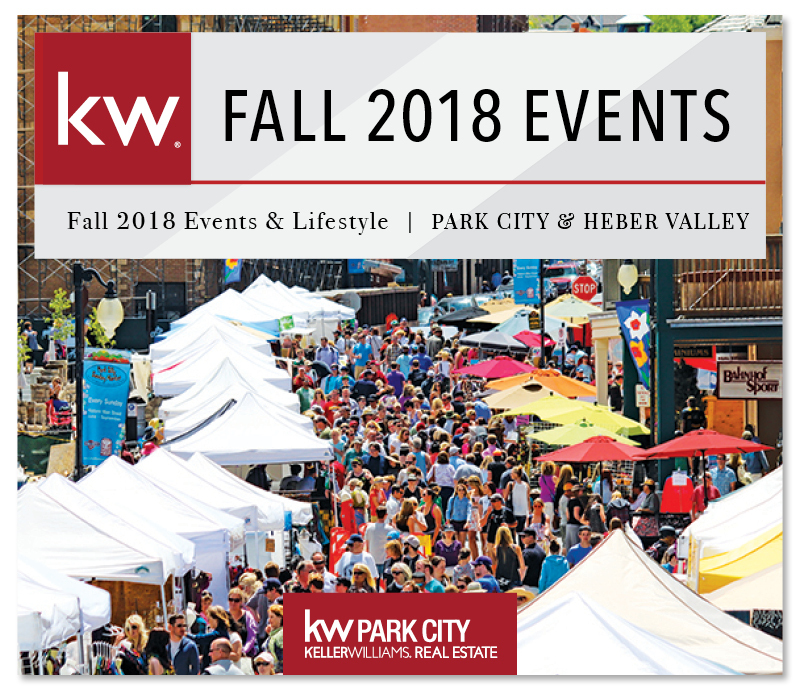 Canyons Village saw increased sales activity and a 22% median price increase to $2.28 M.
Historically, July and August are the months with the highest level of inventory for homes and condos in the Wasatch Back – and Q2 of 2018 was just below Q2 of 2017. In some of the most desirable neighborhoods, a shortfall of for-sale properties has placed an upward pressure on the median prices. 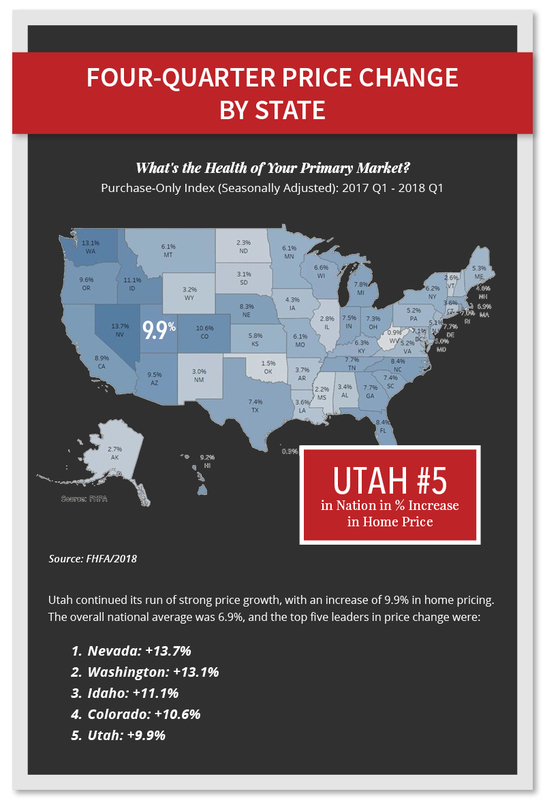 With the demand for all that the Wasatch Back lifestyle has to offer, listed properties have been selling at a faster pace. In the last 12 months, the average length for a home to sell was less than 6 months in the Basin and less than 11 months in the City Limits. Because the Wasatch Back is a niche market, it's often essential to drill down to a more micro level to understand the statistical impacts. Please get in touch if you would like further details and information to guide your purchase or selling options.